Inspired by the years-long creative collaboration between artist Davide De Angelis and David Bowie, the Starman Tarot is the must-have tarot deck of the year. 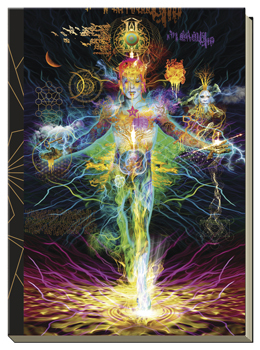 Now the magic of the tarot deck is available as a beautiful journal. As a dream diary, sketchbook, or Book of Shadows, this handsome hardcover journal is the perfect place to record insights and experiences and it makes a perfect gift for those who love to write or draw in an attractive book that has real personality.